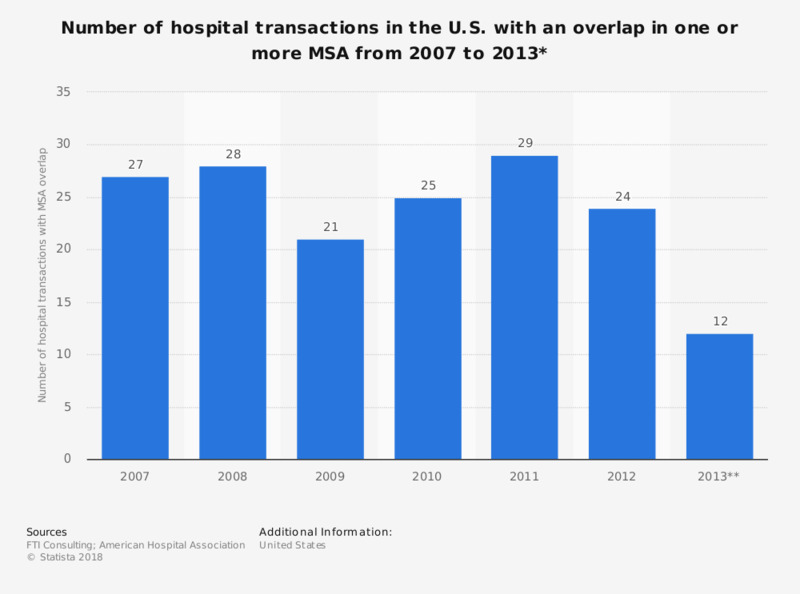 This statistic shows the number of U.S. hospital transaction from 2007 to June 2013 with an overlap in one or more MSA (metro - or micropolitan statistical area). In 2007, 27 transactions - approximately 60 percent of the occurring hospital transactions - resulted in MSA overlaps. * The source specifies that the term ‘MSA’ denotes either a metro- or a micropolitan statistical area. An MSA overlap occurs when both parties in a transaction operate a hospital in the same MSA. ** As of June 2013.